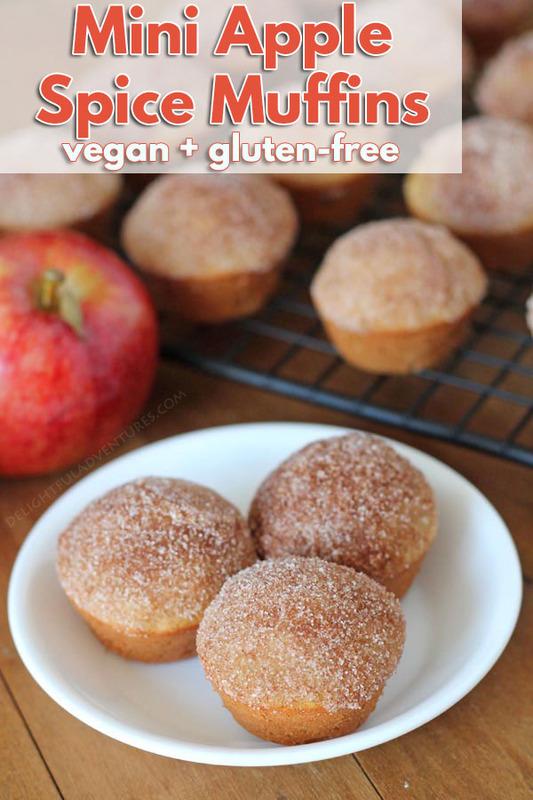 Tasty mini gluten free vegan apple muffins filled with diced apples and warm fall spices. These tiny two-bite treats are great for your kids’ school snacks or for snacking on at home! This time of year is always bittersweet for me, and I’m sure I’ve written about this before, somewhere on this website. It’s bitter because it’s the end of summer, my absolute favourite time of year. 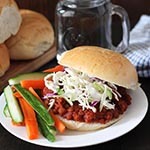 Gone are long hot days, eating BBQ out in the backyard, berry recipes, less rigid schedules, and lots of sun. But at the same time, it’s sweet because fall brings with it recipes that contains warm, flavourful spices, filling comfort meals, hot chocolate, cozy sweaters, and covering up with warm fuzzy blankets while watching TV on the couch. 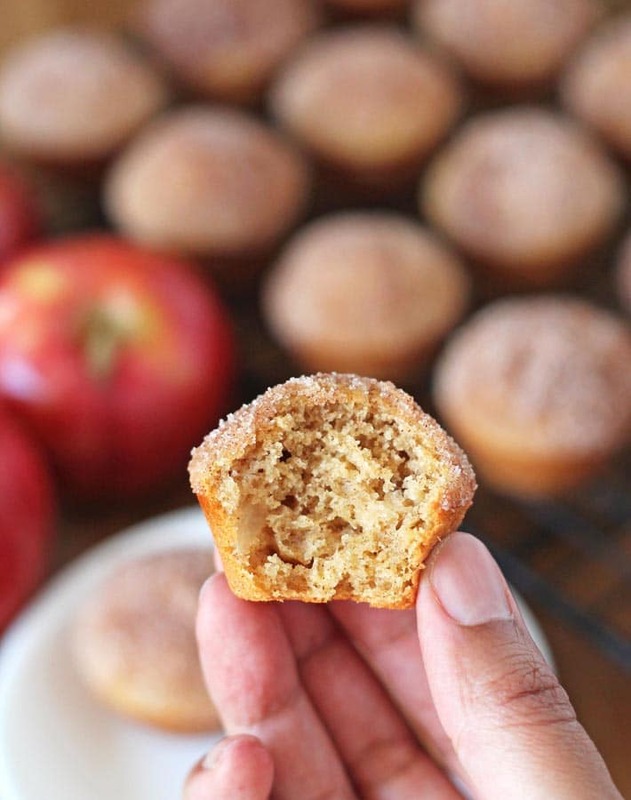 One of those apple recipes happens to be these mini gluten-free vegan apple muffins. 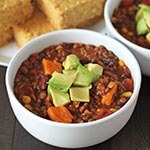 It’s a recipe that’s very easy to make, and the entire family will love them, especially the kids! 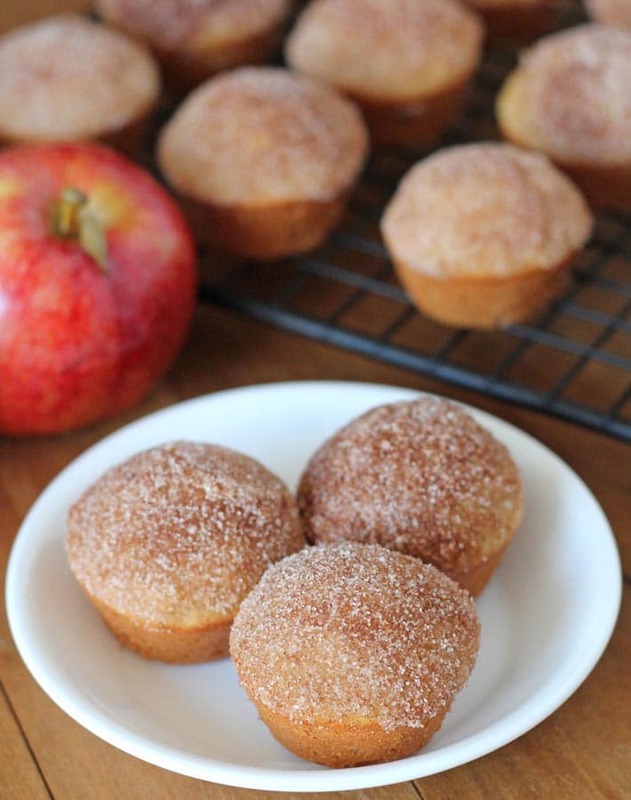 These little muffins are filled with those familiar warm fall spices and loads of tiny apple pieces. The batter comes together quickly, the longest thing will probably be dicing up the apples, but it’s just one small apple, so it really doesn’t take too long. Once the muffins come out of the oven, it’s almost time for the fun part: coating the tops with cinnamon sugar! Your muffins should be fully cooled before moving on to this next step. 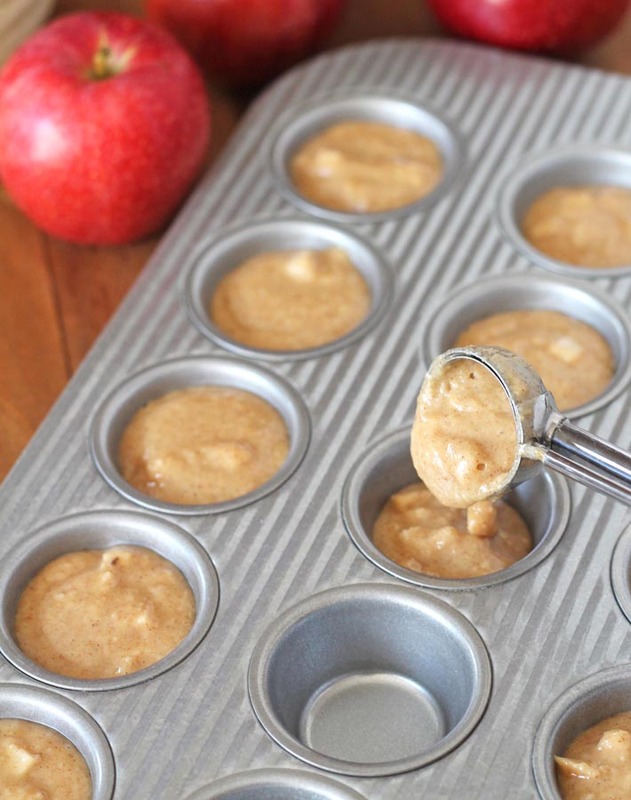 Once they have cooled, you’ll need to dip or brush each muffin top lightly, one by one, with melted coconut oil. 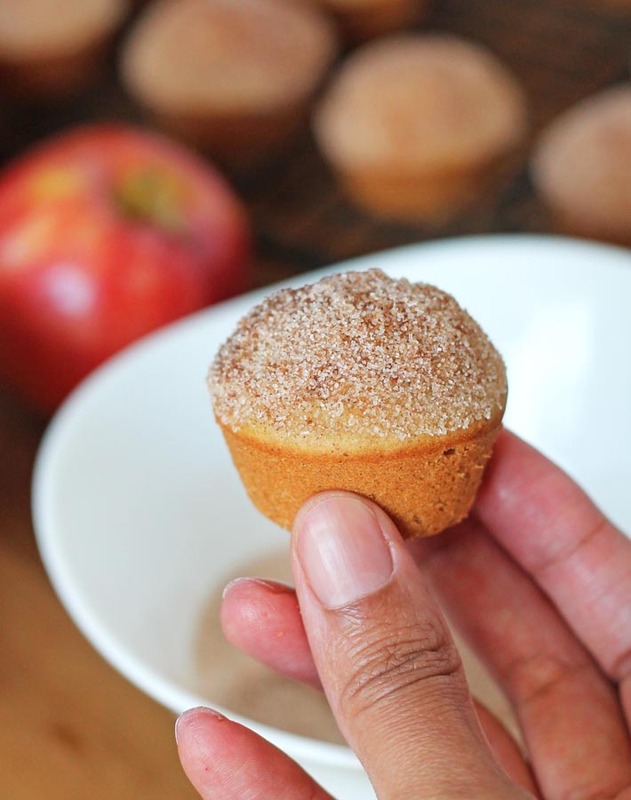 Then, you want to dip each muffin top into the cinnamon sugar mix you’ll have ready and waiting. After that step, your muffins will be done and ready for devouring! I have a pumpkin spice mini muffin recipe that I’ve made countless times and they’re always perfect, but a couple readers wrote to me saying they had problems with the batter being too thick. I helped them troubleshoot and in one case, the incorrect amount of liquid was used, and in another, coconut flour was used, which is a big no-no. Note that the sugar and applesauce call for 1/4 cup PLUS 1 tbsp. Please don’t miss that extra 1 tablespoon of each ingredient. And be sure that you’re keeping up to date on all of my latest recipes by subscribing to my newsletter! 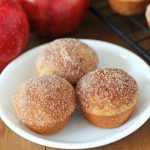 Filled with diced apples and warm fall spices, these easy-to-make mini gluten free vegan apple muffins are great for your kids' school snacks or for snacking on at home! Grease mini muffin pan (x 24), if needed. 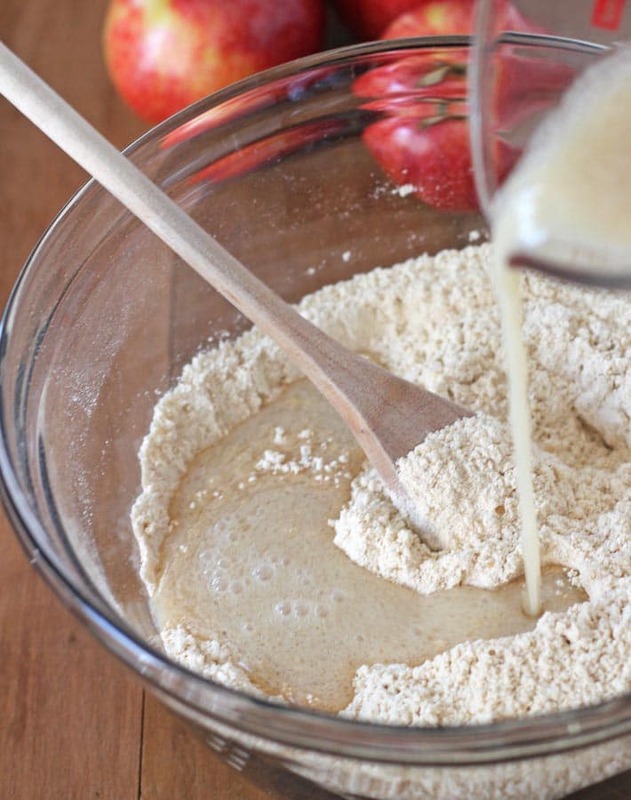 In a large bowl, whisk the flour, baking powder, salt, sugar, cinnamon, nutmeg, ginger, and cardamom. Fold diced apples into the batter. Bake for 9-11 minutes (until a tester comes out clean from the largest muffin). After fully cooled, dip 1 muffin at a time into the oil first. Make sure the entire top is coated with the oil and shake off any excess oil. 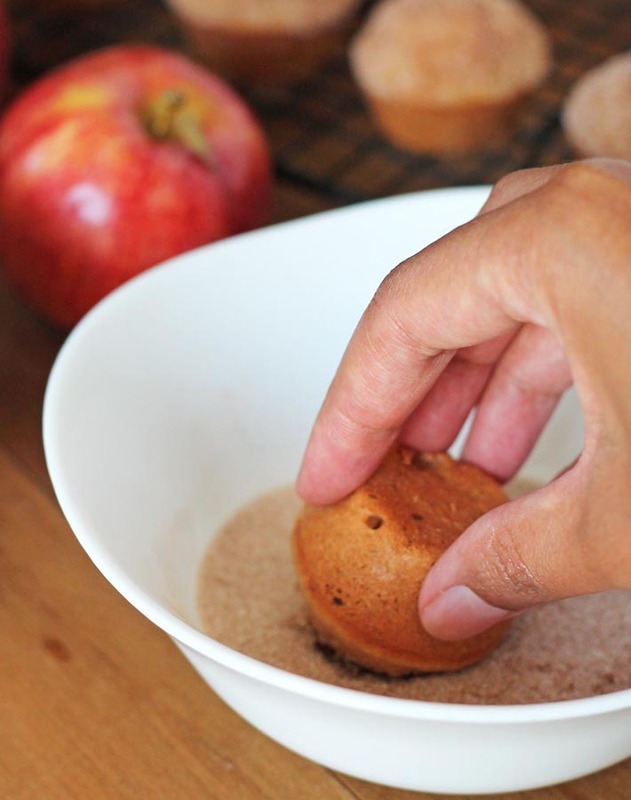 Dip the same muffin into the sugar/cinnamon mixture, ensuring that the entire top is covered with the cinnamon sugar mix. Place muffin back onto cooling rack. 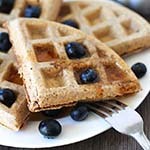 Please read the "before you start" info above before making this recipe. I use a Gala apple for this recipe, but any firm, sweet apple will work. 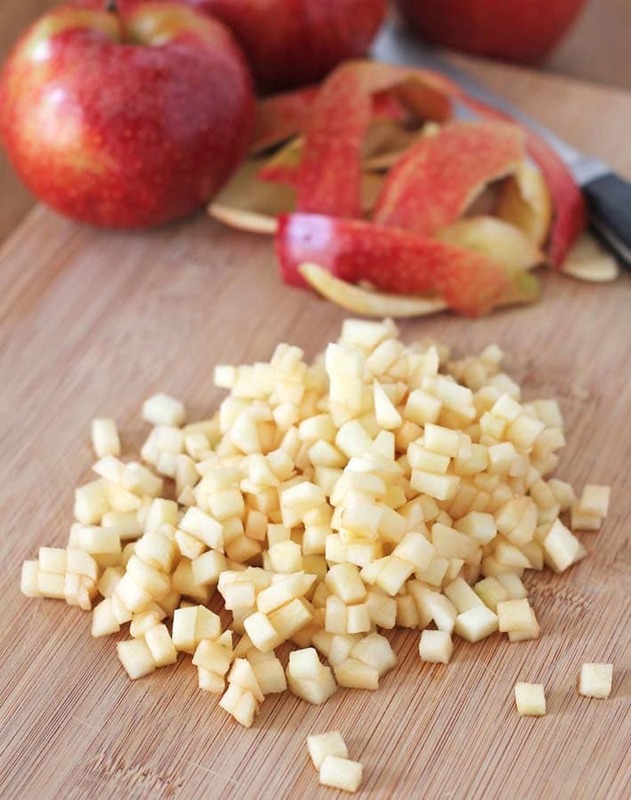 Be sure that your apples are diced very small, see the image above for reference.